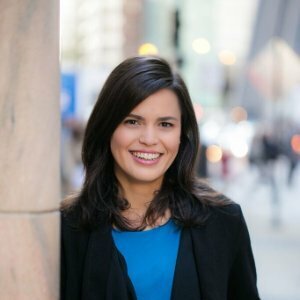 Maria is a Manager at the Center for Financial Services Innovation (CFSI) where she manages initiatives designed to power the next-generation of solutions to improve consumer financial health, most notably the Financial Solutions Lab. Prior to joining CFSI, Maria was at the Center for Economic Progress where she coordinated the delivery of free, high quality tax preparation for working families across Illinois, including the roll-out of several pilots to leverage tax time as an asset building opportunity. Maria earned her B.A. in Economics and Sociology at Beloit College.